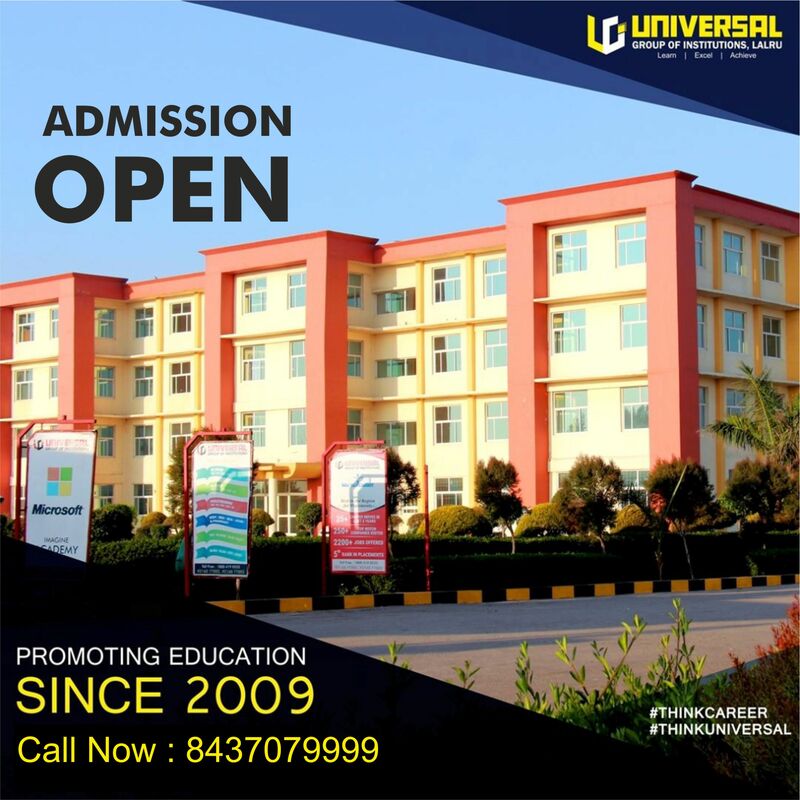 Universal group of institution was founded in the year 2009 and in the shortest time they have proved themselves by serving the best talents to the nation. Lots of courses are being offered by the institution under the supervision of experts in which Polytechnic is one. Their dedication towards work has made themselves as one of the known polytechnic college of Punjab. Joining the list of reputed Polytechnic colleges of Punjab is much easier than attaining the same for the years and years. Hence in this regard, the universal group of institutions has fulfilled the demand of the candidates by providing proper course content of polytechnic and that is the basic reason of getting an enhanced number of students with the proceedings of years. Polytechnic is a course of 3 years and students can apply for the same after completion of class 10th. Depending upon the interest on the subject, a student can select their branch. After completion of the Polytechnic, either the student can apply for a job or can apply for the course of engineering in the same stream. 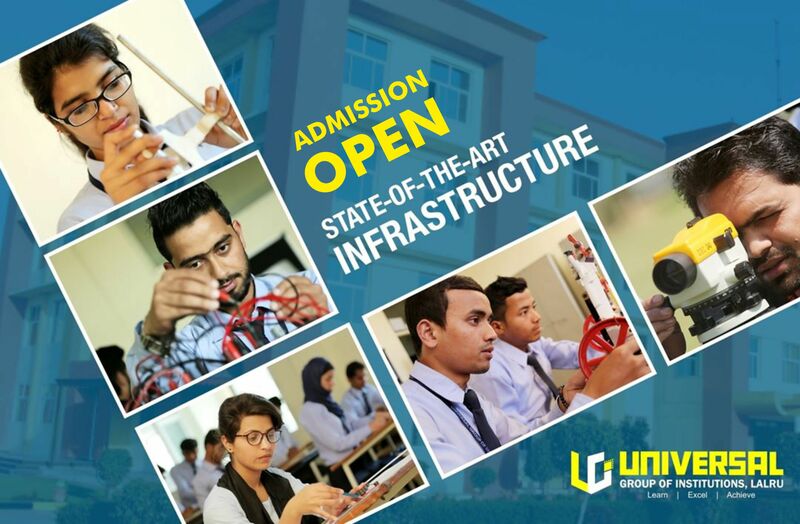 Universal group of institutions will guide you based on your performance and their best consultation with students has listed them in the polytechnic college of Punjab. Polytechnic in Computer Science Engineering: If a student is having interest in the field of computers or if they are willing to build their career in the field of software development then the computer science branch will be the right choice. Polytechnic in Electronics & Communication Engineering: Those who want to be a member of the communication field or who are having interest in networking can join the branch of Electronic & Communication. Polytechnic in Electrical Engineering: If a candidate is willing to be an electrical engineer and they love to work in between the transmission of signals, the flow of current etc then electrical engineering stream will be their best companion. Polytechnic in Civil Engineering: Candidates who are having an interest in the work of architecture or in the construction of buildings etc can join the civil branch and they will be known as Civil Engineers. Polytechnic in Agriculture: Study of plants, seeds, weather etc covers under the branch of Agriculture hence if you are willing to build the future in the respective field then Pharmacy in Agriculture could have opted. Polytechnic in Pharmacy: To join the sector of pharmaceuticals, where the study of drugs, it’s testing etc will be taught you can opt Polytechnic in Pharmacy. This will of 3 years duration and complete practical concepts will be thoroughly briefed. Polytechnic IN ETT: the Universal Group of institution is providing ETT that is Elementary teachers training through which a 12th passed candidate can become a primary teacher. Hence if you are having any such goal then polytechnic in ETT can opt. Well trained and experienced staff are being hired after qualifying the various layers of interviews where they examined by higher authority. It’s the matter of someone’s career who can be the future of the nation hence the institution does not take any chance during the appointment of any staff member. They get tested based on practical and theoretical aspects and those who give best; they become the faculty of this best polytechnic college of Punjab. Getting admission in the Universal Group of Institutions is like a jackpot through which you will get a golden chance to build your career. Hence if you are still searching for the polytechnic college in Punjab then browse all the details at the website of the institution. Also if you have any query to ask then do not hesitate to get in touch. We will serve you with the best career option. Call us now to get all the required details. Love to see on the portal. Stay connected for all the latest updates.